 The Scene Magazine - Page 4507 of 4579 - What's up Toronto? As soon as the band hit the stage the whole room erupted with cheers and hands clapping. I could really feel the anticipation to hear them play. An excitement filled the room that was electric as the first chord was struck and it was clear that Hey Rosetta was indeed home for the holidays. Be it that this was the last leg of a national tour, I was half expecting the band to be tired. However, Tim Bakers vocals were phenomenal throughout the night as he showed no signs of fatigue, he especially shined on ballads when he sat in front of his keyboard. With Kinley Dowling (violin) and Romesh Thavanathan (cello) Baker subdued the crowd during the slower songs and took the audience on a roller coaster ride during the fast ones. Its quite clear that this was not their first rodeo! Hey Rosetta was tighter than an Emo guys pants! Remember Emo? No!? Me neither. The band has been classified as a hipster band. Before seeing them I was a little skeptical of the hype, but after this weekend I can say this: They are beyond categorization and a worthy experience for anyone. Incorporating rock and roll stylings along with violins and cellos to make their own unique sound, this band is something else. The sheer passion with which they played just blew me away. If you want a band thats going to keep you dancing the whole concert then youve found it in Hey Rosetta. To hear them live is engaging and endearing; they truly gave the performance their all, its clear that they are all very gifted artists and passionate master musicians. The all ages crowd couldn’t stop dancing the whole time, tapping their feet and singing along with each song that was played. Hey Rosetta makes me excited for what this province is able to put out there and give to the industry. Congrats Hey Rosetta on a well played show! !